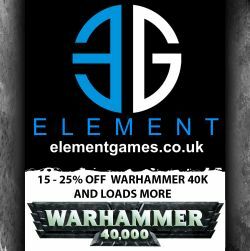 This was first featured on Space Wolves Blog in 2010 and written by Bill Lewis. Sadly that article is now lost to the warp. In an effort to retain the information we have republished it here. Vindicator tactics are anything but subtle. About as subtle as a sledge hammer, a Vindicator is the tank of choice for assaulting urban areas and fortifications. Fielded in a multiple tank formation known as a “Line Breaker” or “Siege Breaker”, the massive Demolisher cannon jutting from their prow is capable of not just cracking open enemy defenses, but leveling them flat with the defenders trapped underneath. A sturdy Dozer Blade or massive Siege Shield is often mounted to their front to assist in the navigation of the rubble their guns create. These mighty tanks rightfully form the iron point of many Space Wolves attacks. The primary strength and weakness of the Vindicator is the Demolisher Cannon. It is a massive piece of Ordnance that can reduce the mightiest of targets to a fine mist and crack even the hardest armour. This fearsome power is balanced out by a short range, Blast template deviation, and the gun being silenced by even a Glancing hit. A heavy front armour helps keep the tank moving and shooting, but their short range also makes Vindies an optimal target for enemy melta weapons. This huge gun also brings another benefit: Vindicators will get shot at… a lot. They are a fire magnet unmatched by anything else in the same points cost. This makes them an excellent resource for pulling enemy fire away from the rest of your army. The Vindicator is a wonderfully easy tank to run. It goes at the front of your lines with the heavy front armour facing the enemy. The first turn it moves forward to bring the enemy into range and starts shooting. From there you either continue advancing and shooting against a static enemy or backing up while pounding those foolish enough to come towards you. It is easy to buy a bunch of upgrades for the Vindicator but be warned that the cost can add up fast. A Dozer Blade or Storm Shield is excellent for keeping the tank mobile, but even they are not critical. When in doubt, simplicity is usually the best option. 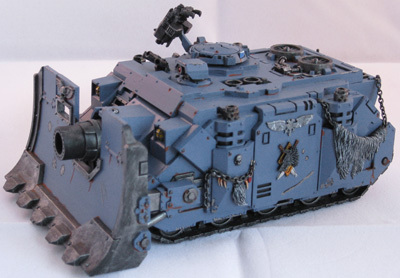 The Vindicator is an excellent assault tank that really compliments the range and style of a Space Wolves army. It likes being close to the enemy, hits hard, dominates the local field and is able to take a hit in return. They can be an excellent core component for fully or semi mechanised lists of any size. Still, one medium-heavy tank all alone will often find itself the focus of every enemy anti-tank weapon in the area. The key to also getting offensive power out of your Vindicator is to give your opponent problems with target priority. Do this by pushing into their lines with two or even three heavy tanks together. 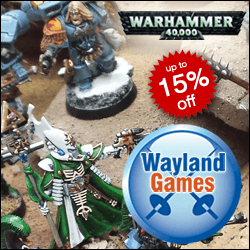 Just match your Vindicator up with one or two Land Raiders, Predators, or additional Vindicators and enjoy the fireworks! Guest post by Bill “Dverning” Lewis.